Birds: such as parakeets, lovebirds, finches, conures, cockatiels and anything else that flies! Fish: whether they’re saltwater or freshwater, in a pond or an aquarium, if you want your fish food as a flake, pellet, frozen or live we have what you need. Cats: if it purrs we’ve got what it needs! Shampoo, brushes, scratching posts, litter boxes we cover all of your cats needs at our pet stores. Dogs: There’s always a whole lot of barking going on up our trees! We carry crates, kennels, brushes, trimmers and everything else that makes tails wag! Reptiles/Amphibians: Who says it needs fur to be cute? We have pet food and care products at both of our pet stores for your snakes, lizards, turtles, amphibians and even spiders! Small Animals: What else have you got? Rabbits? Mice? Chinchillas? Hedgehogs? We have pet food and supplies for them as well! We invite you all to visit with these companies and be a part of what makes Albuquerque and New Mexico great for pets and all wildlife. We hope you take the time to use these excellent resources so that you know more about what your pets are eating and using. 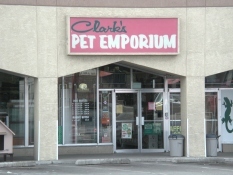 Clark’s Pet Emporium pet stores are here for you! 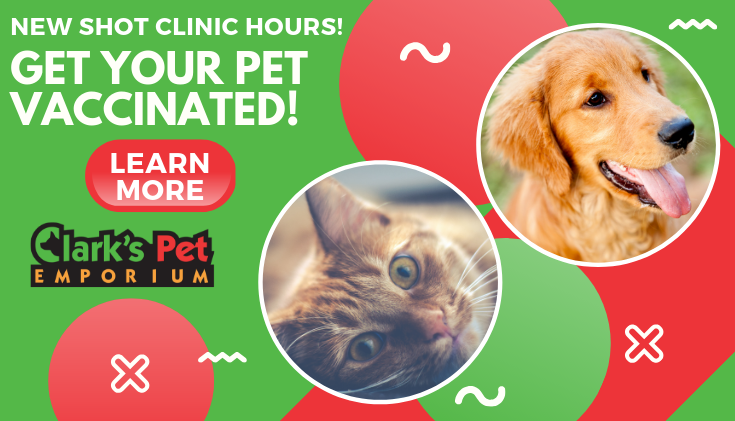 If the above information didn’t convince you that we’re here, right in Albuquerque, making a difference for you and your pets then please come into our store, talk to our staff by phone or contact us through email. We’re here to be the best pet stores in New Mexico and we’re ready to serve you and your pets!